I haven't had a Bonsai for around 20 years, but today I decided to start playing around with them again. 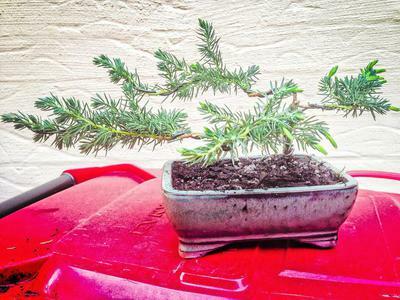 I have used a conifer to start with just because I like their look. I have also just planted some Japanese Maple seeds to try & get them to grow.